Francelise Dawkins » What’s New! 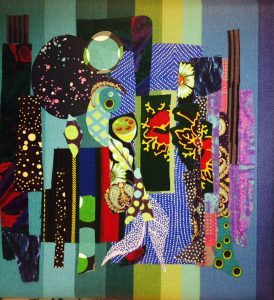 Back in blogging mode, I want to let everyone know that I have a new location on Beekman Street to do my textile collages! My studios are now on 79 Beekman Street, in Saratoga Springs, NY. I opened the studios last summer with the desire to do collages in one of three rooms, have French classes and creative writing sessions with members of the community indoors or outdoors, since there is a beautiful garden space on the side of the studios. You may contact me at (518) 698-3711. 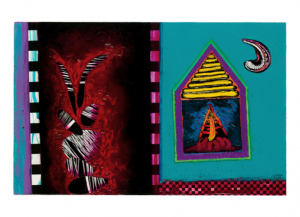 Willie Marlowe has shown paintings in solo and invitational exhibitions in the U.S. and abroad. 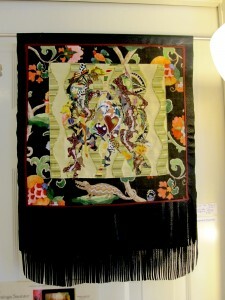 Her work is included in museum, university, corporate and private collections. 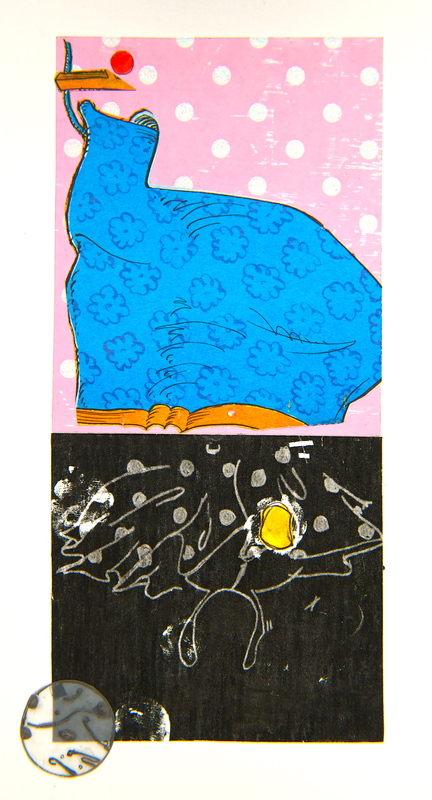 Her work is informed by travel, going to museums and archaeological sites in Europe, the Yucatan and Russia. She often works on intimately scaled acrylic paintings on paper. Her luminous surfaces are achieved by using an intense palette and successive layers of translucent glazes. She taught painting and drawing in the Department of Visual Arts, The Sage College of Albany, and has taught watercolor in two of The Sage Colleges’ international studies programs, “Sage at Oxford”, Somerville College, Oxford University, and “Celtic Connections” in Scotland and Ireland. She is now Professor Emerita, The Sage Colleges. 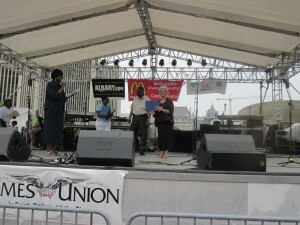 Women of the Arts Certificate of Appreciation! 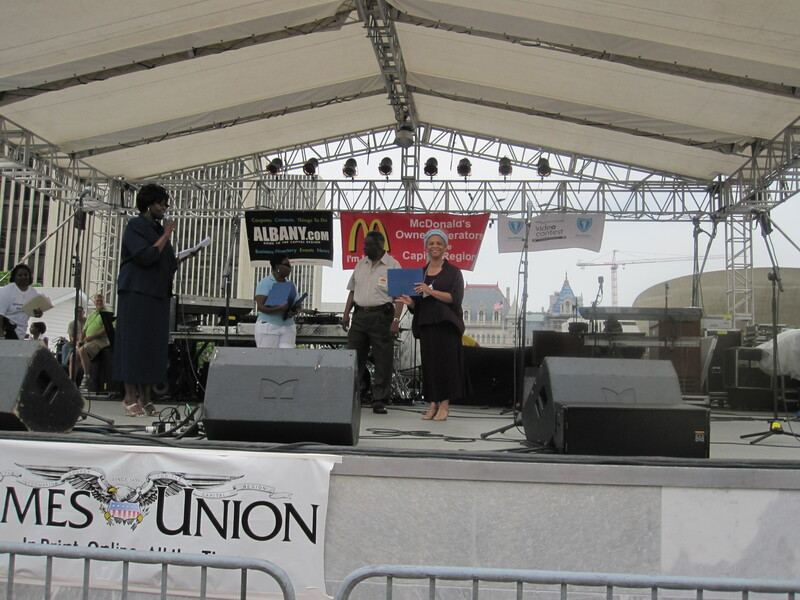 On Saturday, August 6, Francelise, together with other noted women of the Capital Region, was honored with a Certificate of Appreciation for her contribution to the arts. Gift of the Mangrove was one of several works displayed at the Arts Center of the Capital Region, Troy, NY in April. 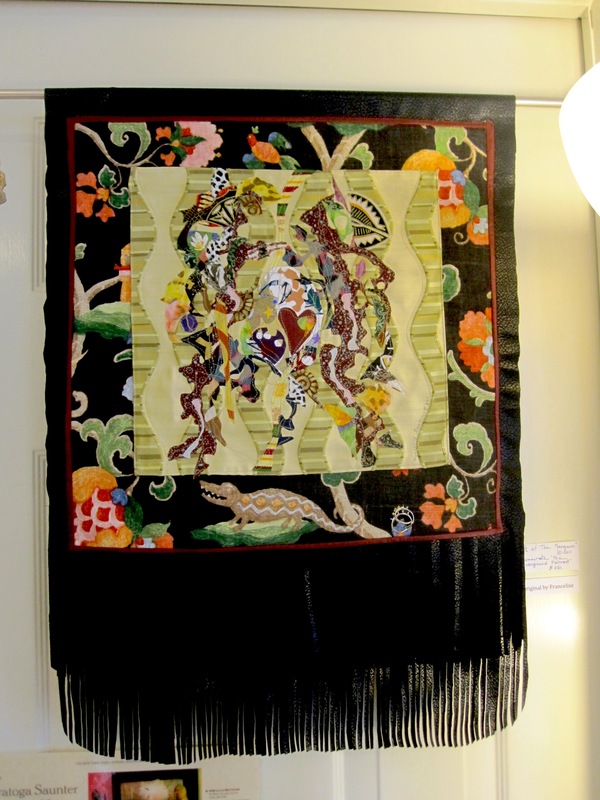 Francelise was among several artists invited to create and exhibit textile works of art in conjunction with the 10th Anniversary Conference on the Underground Railroad Movement, held at Russell Sage College. This year’s conference theme was “Abolishing Slavery in the Atlantic World: the ‘Underground Railroad’ in the Americas, Africa, and Europe and its relationship with us today–A Fresh Interpretation of an Old Story”. “In this exhibition, the sound of music is a metaphor for the movement of life, distilled and expressed through an artist’s temperament as visual form—the artistic tradition of abstract art, which dates back to the dawn of human existence. In some ways, these visual forms reflect my interest in the world of science, underscoring my appreciation for pathways between the micro- and the microcosm (a relationship also acknowledged in the works of artists in ancient cultures). I feel linked to a mysterious blend of past and present cultures, of sound and sight, of stillness and movement, of nature, science, and spirituality. 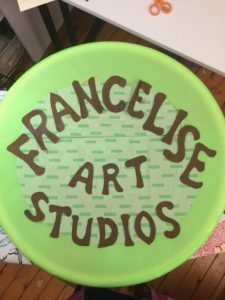 My name is Francelise Dawkins, textile collagist and the owner of Francelise Art Studios, located at 79 Beekman Street, in the Arts District of Saratoga Springs, NY 12866. My new phone number is: (518) 698-3711. Opening hours: Thursday through Sunday or by appointment. Née à Paris et d’ascendance guadeloupéenne, je m’appelle Francelise Dawkins et suis collagiste textile aux US depuis trois décennies. 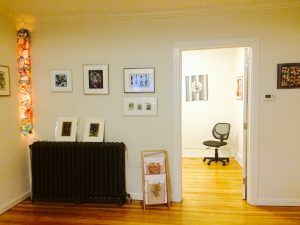 Mon nouvel atelier est Francelise Art Studios, au 79 Rue Beekman, dans le quartier des artistes à Saratoga Springs, NY 12866. Mon nouveau contact est le (518) 698-3711. Atelier ouvert du jeudi au dimanche ou sur rendez-vous.